I will get the full details and will post them online on February 3rd. The D850 price drop and Nikon Z trade-in program are still active. 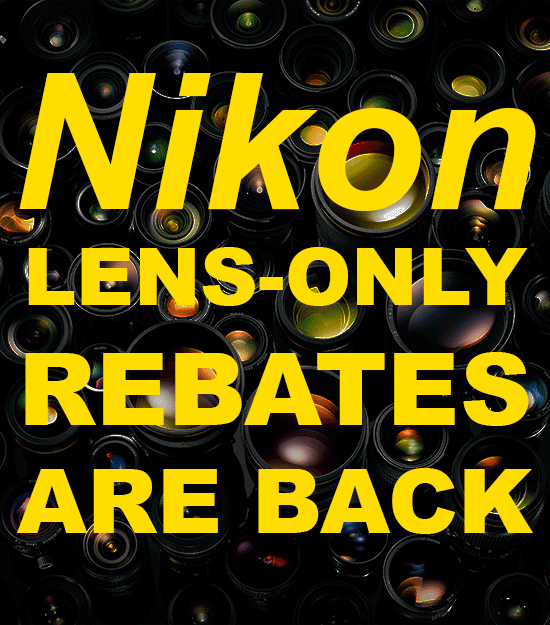 This entry was posted in Deals, Nikon Lenses and tagged lens only rebates, Nikon Rebates. Bookmark the permalink. Trackbacks are closed, but you can post a comment.